HMAS Waller leaves Diamantina Pier, HMAS Stirling, to take part in Exercise AUSINDEX 2017 off the west coast of Australia. Image via Commonwealth of Australia, Department of Defence. The University of Tasmania (UTAS) will partner with US universities to help improve Australia’s naval capability under the US Department of Defense’s Multidisciplinary University Research Initiative (MURI). UTAS has received a $3 million grant, under the Next Generation Technologies Fund led by the Defence Science and Technology Group, over three years to participate in the MURI. 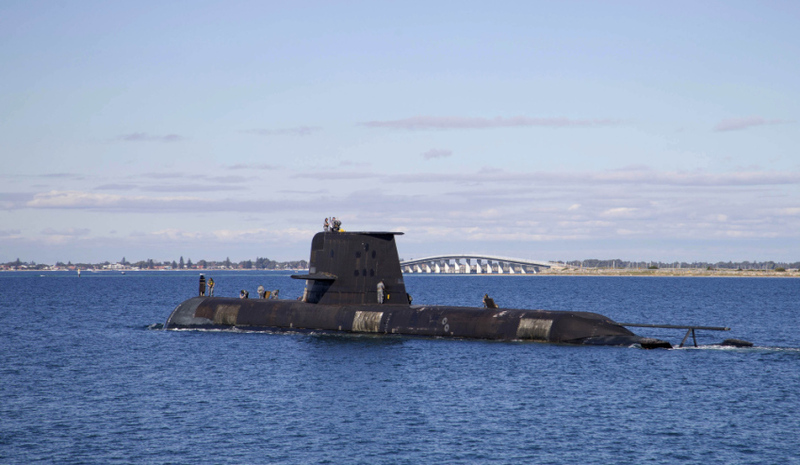 The Tasmanian university will join seven leading US universities in hydrodynamics research, which will assist in developing Australia’s ship and submarine capability. The US academic institutions involved in the hydrodynamics research are: the Massachusetts Institute of Technology; Johns Hopkins University; the California Institute of Technology; the University of California; the University of Minnesota; the University of Iowa and the University of Michigan. They will receive funding from the US Office of Naval Research. The researchers will study the physics of cavitation to enhance our understanding of how this affects the performance of naval vessels. Cavitation is the process where air bubbles form in the water flowing over a surface, for example, a hull or a propeller, and then collapse. This can cause damage to the surface through the air bubbles bursting and causing erosion, and also results in high levels of noise. The cavitation tunnel can be used to study different hull shapes, propeller profiles and propeller flexibility to determine how they might affect cavitation and thus identify shapes/flexibility that could reduce cavitation and hence erosion and noise. Minister for Defence Industry Christopher Pyne congratulated UTAS on winning the grant and parterning with MURI. "MURI is a highly successful collaborative US program that brings researchers from different disciplines together to investigate high-priority and complex military problems," Minister Pyne said. "This is consistent with the intent of the Next Generation Technologies Fund and an excellent example of adding value by leveraging expertise and funding from additional sources. I congratulate the University of Tasmania on their sound research proposal and wish them all success with their US partnership in delivering a maritime capability for Australia."